Place lettuce into a salad bowl. 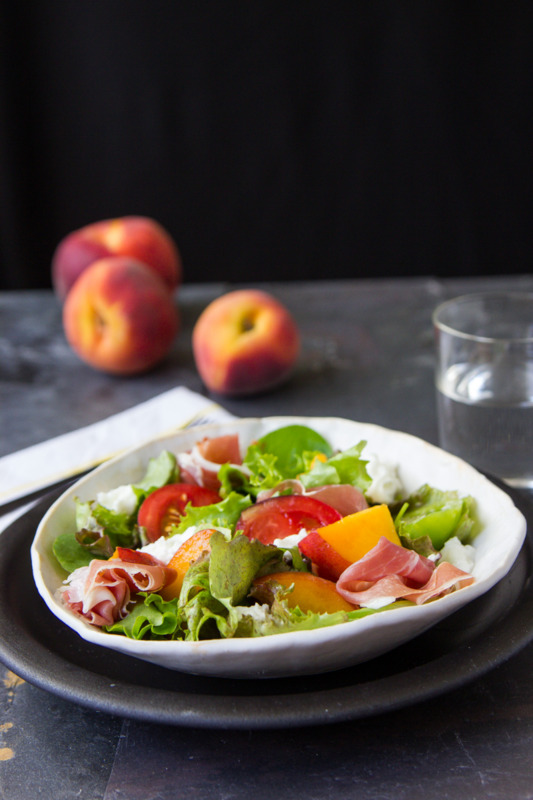 Top with sliced peaches and tomatoes. Tear mozzarella and scatter over salad. Lay the prosciutto slices throughout the salad. Toss gently with lemon basil dressing and serve immediately. Mix together above ingredients in a blender or food processor.